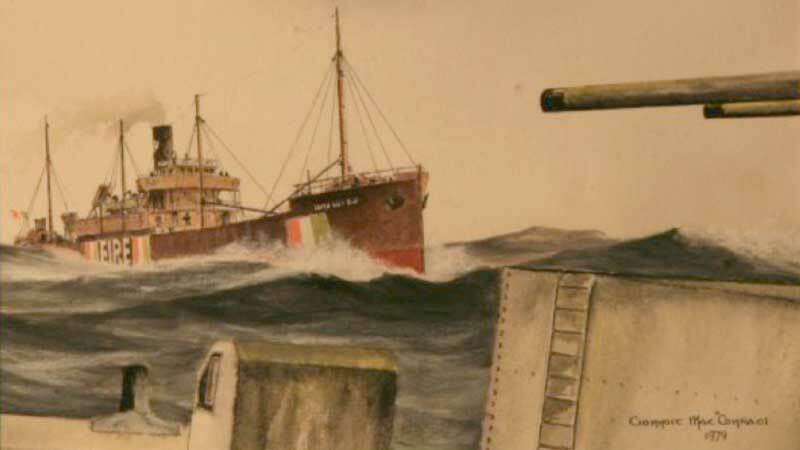 On the morning of 16th March 1942 the Irish Shipping vessel SS Irish Willow was spotted by a German submarine but unlike most other encounters at sea during this fraught period, this one didn’t go quite as you might expect. The Second World War raged bloody in the Atlantic as much as it did on land, and in the heart of the battle was neutral Ireland locked within a war zone. Ireland was in a perilous position and our neutral stance isolated the country but it simply couldn’t afford to stay out of the water. We needed to trade surplus food stocks with the UK and relied on British tankers for petroleum and fortunately the Irish Mercantile Marine was still prepared to work despite the appalling and terrifying conditions. They took supreme risks and boldly traveled the treacherous waters, suffering heavy losses, all to maintain the balance of essential trade. Irish ships initially sailed in British convoys but decided it was best to sail alone for a better chance of crossing the channel unimpeded. Instead they relied on their neutral markings – which had varied success. The ships were unarmed and identified themselves by painting the Irish tricolour and EIRE in large letters on the sides of their ships and decks. One such ship that maintained trade during these dangerous years and miraculously manged to come out the other side unscathed was the SS Irish Willow. Launched in December of 1917, she was a standard World War 1 era American-built cargo ship and went through several owners and name changes until she became the SS Irish Willow and was leased out to the newly formed Irish Shipping in 1941. She made several round trips to Canada to bring back wheat and exported food and imported coal to Britain. On the morning of 16th March 1942, the SS Irish Willow was spotted by the German submarine U-753 just south-west of Rockall Bank. They were preparing to sink her until at the last moment they saw her neutral markings. Instead in a change of plan, the U-boat surfaced and signaled to the Irish Willow to send the over the captain with the ship’s papers. 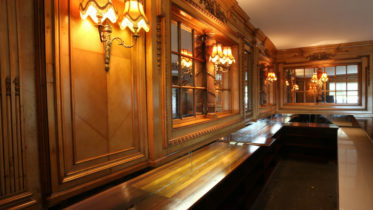 The ships captain, born in Belfast, feared he would be regarded as British by the German sailors so instead they sent the Chief Officer Henry Cullen and four crew. They were brought into the submarines coning tower where Cullen explained that the captain was too elderly to travel over by small boat. He went on to tell the Germans of Ireland’s neutrality and that the following day would be St Patrick’s Day. The encounter seemed to be going well and even a couple of tumblers of schnapps were handed around in honour of St Patrick. The Germans explained they were waiting for instructions as whether to sink the ship and it’s reported they seemed genuinely apologetic for the situation. They sent the party back with a bottle of cognac for the crew and said they’d fire a red flare five minutes before if they were going to sink the Irish Willow. The crew returned and waited anxiously. Eventually a flare went up and much to the relief of the crew it was green. They were safe and could continue on their way! The crew of the SS Irish Willow were later involved with the rescue of the crew of the Empire Breeze later that same year where they rescued 47 survivors. Throughout wartime Irish ships often answered SOS calls and helped rescued survivors regardless of nationality and the risk posed to themselves.